We offer a variety of types and levels of conservatory cleaning across Brighton, Hove and the surrounding areas. 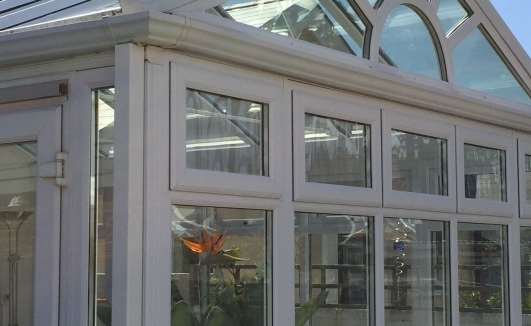 The most complete clean is a full conservatory valet which cleans all of the UPVC, soffits, fascia’s, guttering, vents, seals and all external and internal windows of the conservatory including the roof. Once a full clean has taken place, you can then choose to simply include the windows that run along the sides of the conservatory at the same time as cleaning your house windows until a full clean is needed again (usually 1-2 times per year). This service deliberately has a tailor-made approach though so please contact us to discuss what type of conservatory clean best suits you.